Finance minister Arun Jaitley stated recently that GST crosses Rs. 1 lakh crore mark in October. There is marked an improvement over the September GST collection which was 94,442crore. 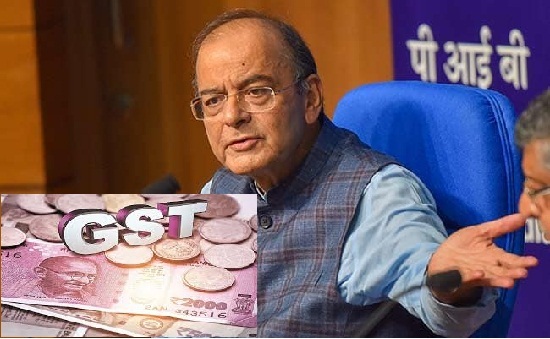 Jaitley stated that success of GST is lower rates, lesser evasion, higher compliance, only one tax and negligible interference by taxation authorities. The Finance minister had targeted monthly GST collection to be Rs. 1 lakh crore for this fiscal. As we are in festive season this would be the good news that the Goods and Service Tax collection have crossed Rs 1 lakh crore in October. Meanwhile, the GST Council last week set up a seven-member ministerial panel under Bihar Deputy Chief Minister Sushil Modi to examine the legality of imposing a new tax on certain goods and services to raise resources for natural calamity –hit states like Kerala. The panel headed by Union Finance Minister Arun Jaitley and comprising representatives of all states and UTs also took stock of the shortfall in tax mop up by the majority of the states under the new indirect tax regime.